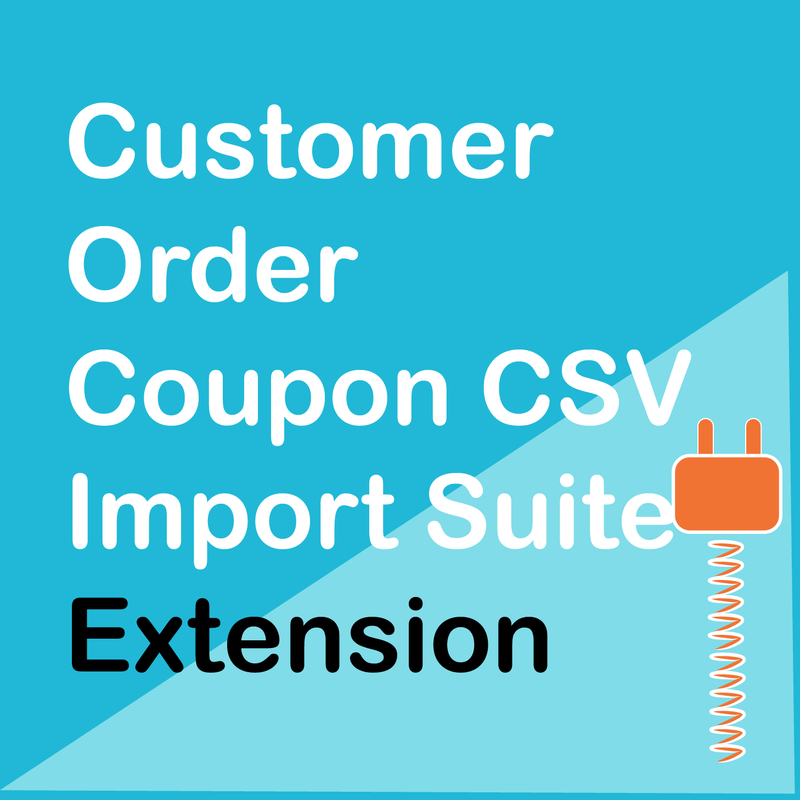 WooCommerce Order / Customer / Coupon CSV Import Suite: Import orders, customers and coupons from a CSV file (Comma Separated Value) into WooCommerce. Want to migrate from another ecommerce solution to WooCommerce? Now, you can import thousands of customers, orders or coupons into your WooCommerce store with the user-friendly WooCommerce Order / Customer / Coupon CSV Import Suite. 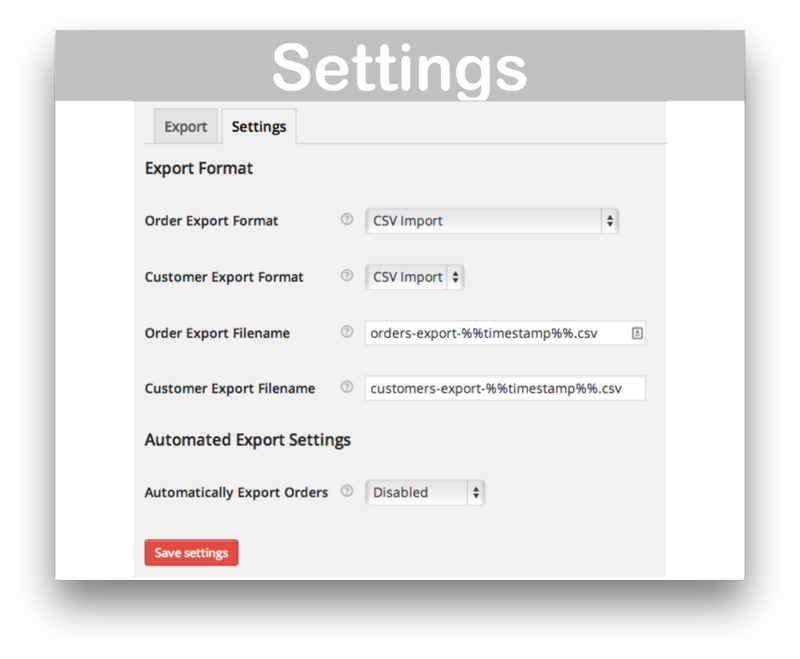 WooCommerce Order / Customer / Coupon CSV Import Suite supports custom meta fields for coupons, orders and customers. The plugin also supports customer merging and coupon merging. 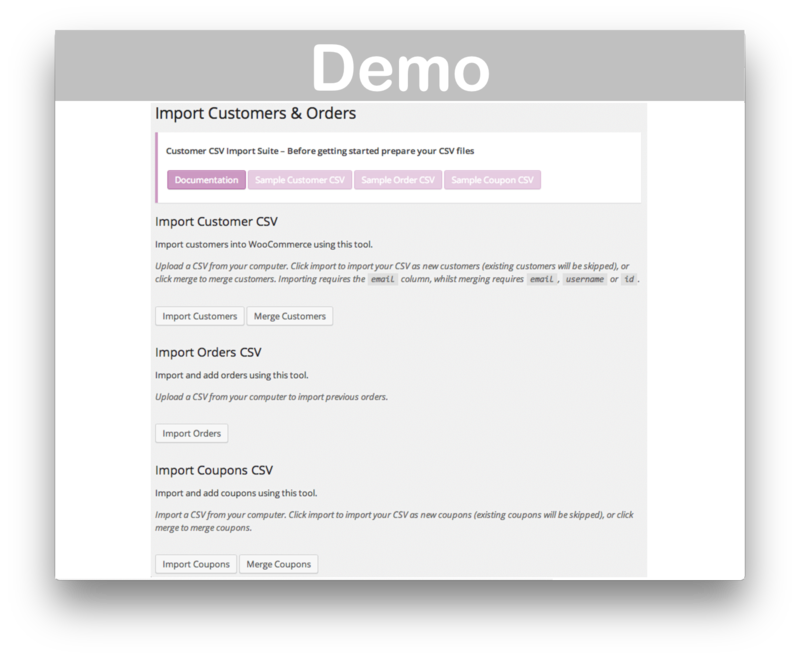 Instantly download WooCommerce Order / Customer / Coupon CSV Import Suite, Version 3.6.0, Released on April 17, 2019, at an incredible discount. No coupon codes required! Just click “Add to cart” and follow the instructions. You’ll get an instant download link. It’s that easy! Major timesaver! Thanks for awesome service, guys!